We are very excited about the upcoming 49th SIOP Congress in Washington, D.C. that will take place October 12-15, 2017. There will be 8 Keynote Talks, 10 Symposia, and 6 Meet-the-Expert sessions, along with more than two dozen oral free paper sessions in which the highest scored abstracts will be presented. The best of the remaining abstracts will be included in the Poster Discussion session, and there will be 2 separate poster sessions. We will return to the old poster presentation format, as we received feedback that the electronic posters limited interactions with the presenters. However, all abstracts will be available on the SIOP app and presenters will have the opportunity to upload their posters to that app and the SIOP website. 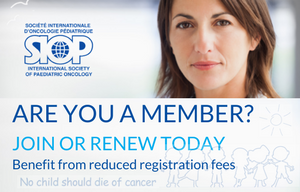 The Educational Day will take place on October 12th and include all-day Educational Sessions organized by the Local Organizing Committee, Pediatric Oncology in Developing Countries (PODC), the SIOP Nursing Committee and Supportive Care Working Group, the International Society of Paediatric Surgical Oncology (IPSO) and Childhood Cancer International. SIOP has developed a vibrant Young Investigators Committee and this group will also conduct an all-day educational session on October 12th. 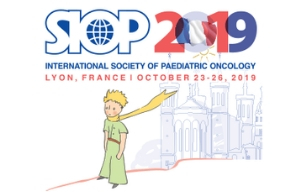 Additional highlights include the presentation of Lifetime Achievement Awards to 3 leaders of the Society who helped to establish the multidisciplinary field of pediatric oncology, and the 2nd Annual St. Baldrick’s-SIOP Robert J. Arceci Symposium, Immunotherapy in Paediatric Cancer: New Developments and Therapeutic Opportunities. Several opportunities to network with colleagues are planned, including the Opening Ceremony on the evening of October 12th and a 5K Fun Run on the morning of October 14th. On the evening of October 14th, an engaging networking event will be held at the Newseum, a beautiful museum dedicated to news media coverage of historic events, with spectacular views of Washington, D.C.
We look forward to seeing you in Washington, D.C. in October.